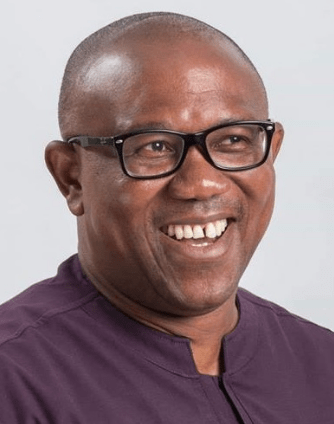 Mr Peter Obi, Vice-Presidential candidate of Peoples Democratic Party (PDP), says that his party will bring back smiles to the faces of Nigerians when it wins the Feb. 16 presidential election. Obi said this while addressing newsmen before embarking on a road show in Awka on Tuesday. He said PDP would restore the country’s days of economic prosperity which had suffered set back under the All Progressives Congress (APC) administration. He said voting back the APC meant “prolonging the suffering in the land”. According to him, the country is collapsing under the watch of incompetent and incapable people; come out en mass on Feb. 16 and vote out this the APC controlled-government. “Nigeria has the highest number of poor people in the world today where about 90 millions are poor that is half of the population. “About 21 million youths are unemployed, nobody is happy with situation in the country today and any person that is happy with the situation is not a normal human being. “PDP is coming back to restore happiness and lessen the sufferings of the people,’’ he said. Earlier, Mr Oseloka Obaze, Chairman of Atiku-Obi Presidential Campaign Council in Anambra, said the PDP was coming with positive ideas on how to rebuild Nigeria. Obaze expressed confidence on the chances of PDP to win the presidential election, saying Nigerians need a new lease of life. “PDP findings show that Nigerians are not happy with the present government of APC and re-electing them will worsen the sufferings of the people. “If you vote for the present government to return, things will be worse than we had in the last three years and half. “They made several promises in 2015 and they have not fulfilled any, we want to restore the economy and human dignity in the next four years,’’ he said. Obaze said there was nothing to show that PDP governors in South-East were against the Atiku/Obi ticket as no one had come out openly to say he was not supporting it.